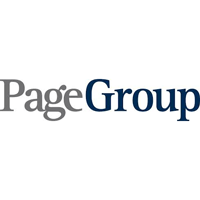 PageGroup Plc (LON:PAGE), today announced first quarter trading update. “The Group grew gross profit 11.7% in constant currencies with all four regions delivering growth and 12 countries growing in excess of 20%. “Our five Large, High Potential markets of Germany, Greater China, Latin America, South East Asia and the US continued to perform strongly, growing 19% collectively. Germany grew 23%, with our Interim business up 27%. In Asia Pacific, Greater China’s growth slowed to 9% in Q1 from 12% in Q4 2018, due to confidence being affected by trade tariff uncertainty. South East Asia was up 11%, with Singapore up 13%. The US grew 24%, with strong growth in our regional offices. Latin America was up 22%, with Brazil up 20%, and the other five countries in Latin America up 22%, collectively. “In our six Large, Proven markets, the UK delivered a third consecutive quarter of marginal growth, up 1.7%, despite continued Brexit related uncertainty. In France, growth slowed to 8% with the ‘gilets jaunes’ protests impacting candidate confidence and our investment in fee earners slowed as we focused on productivity and conversion. Italy and the Netherlands both continued to perform well, up 18% and 12%, respectively. Spain grew 9%, in line with its Q4 2018 growth rate. Australia delivered another strong quarter, up 13%. “Outside these two categories, we saw good growth in the majority of our other markets, particularly in India and Japan, which grew 49% and 34%, respectively. “Having added 619 fee earners in 2018, net additions in Q1 were 41, with increases in markets where we saw the strongest growth, offset by natural attrition elsewhere. Our flexible business model enables us to react quickly to changes in market conditions by adjusting our headcount, and following our recent COO office appointment, to have a greater focus on productivity and conversion. **Company compiled consensus for 2019 operating profit of £160.4m. PageGroup delivered first quarter gross profit of £208.8m, up 11.7% in constant currencies and 11.2% in reported rates. In constant currencies, Michael Page grew 9.9%, with Page Personnel growing faster, up 15.6% in the quarter. Having added 619 fee earners in 2018, we added a further 41 in Q1. Fee earner additions were mainly into markets where we saw the strongest growth, while fee earner headcount in the UK declined by 35 through natural attrition. Our flexible business model enables us to react quickly to changes in market conditions by adjusting our headcount, and following our recent COO office appointment, to have a greater focus on productivity and conversion. Our operational support headcount increased by 29 in the quarter. These additions were mainly temporary in nature to support the implementation of our new Global Finance System, with roll-outs in Latin America and Europe during the first half of 2019. Our fee earner to operational support staff ratio was maintained at its record of 79:21. This represented 6,157 fee earners and a total headcount of 7,842. Gross profit from permanent recruitment grew 11.5% in reported rates and 11.8% in constant currencies, to £158.5m (Q1 2018: £142.1m). Gross profit from temporary recruitment grew 10.2% in reported rates and 11.4% in constant currencies, to £50.3m (Q1 2018: £45.7m). This resulted in a ratio of permanent to temporary recruitment of 76:24. EMEA Q1 gross profit grew 11.4% to £104.1m. Both Michael Page and Page Personnel continued to deliver strong performances, with growth of 10% and 12%, respectively. France, representing 16% of the Group, grew 8%, down from 10% in Q4 2018. The ‘gilets jaunes’ protests and political uncertainty have impacted confidence, leading to shortages in more senior candidates. This has resulted in a slower increase in our fee earner headcount, combined with an increased focus on productivity and conversion. Germany delivered a record quarter, up 23%, with our Interim business growing 27%. Italy grew 18% and Spain was up 9%, in line with its Q4 growth rate, with a marginal decline in Catalonia offset by strong growth elsewhere. Benelux grew 11%, with the Netherlands up 12% and Belgium delivering a record quarter. The Middle East and Africa grew 12%, with continued strong growth in the UAE, up 25%. Fee earner headcount across the region increased by 16 in the quarter, mainly into Germany and the Netherlands. In Asia Pacific, gross profit grew 14.9% to £38.2m. Greater China, one of our Large, High Potential markets grew 9%, marginally below its Q4 growth rate of 12%, due to the continuing impact of trade tariff uncertainty, particularly in Mainland China. This has also led to reduced confidence in Hong Kong. South East Asia, another of our Large, High Potential markets, grew 11%, with continued strong growth in Singapore, up 13%. Japan, where we continue to focus on both the Gaishikei and Nikkei markets, grew 34%. India delivered another record quarter, up 49%. Australia grew 13%, with a record performance from our Page Personnel brand. Overall fee earner headcount in the region grew 46 in the quarter, mainly in Australia and Japan, balanced by responding quickly to changing market conditions in Mainland China. The UK grew 1.7%, its third consecutive quarter of marginal growth, despite continued Brexit related uncertainty impacting candidate and client confidence. Page Personnel, which represents a quarter of the UK, grew 10%. Michael Page, which is focused on more senior opportunities and was impacted by the uncertainty to a greater extent, declined 1%. Fee earner headcount decreased by 35 through natural attrition in the quarter to 969. The Americas continued to be our fastest growing region and grew 21.4% to £32.1m. The US delivered a record quarter, up 24%. Growth was strong in our regional offices, with notable performances from Boston, Chicago, Houston and Los Angeles. Latin America grew 22%, another record quarter for the region. The Brazilian market continued to perform well, growing 20%, its sixth consecutive quarter of double digit growth. Mexico, the largest country in the region, grew 33%, a record quarter. Elsewhere, the other four countries in the region grew 15% collectively, with record performances from Argentina, Colombia and Peru. We added 14 fee earners across the Americas in the quarter, with an increased focus on productivity and conversion. Save for the effects of Q1 trading detailed above, there have been no other significant changes in the financial position of the Group since the publication of the results for the quarter ended 31 December 2018. Net cash at 31 March 2019, was in the region of £76m (Q1 2018: c. £91m). The decrease in cash compared to Q1 2018 is largely due to a reduction in cash received from share option exercises, where £10.5m was received in Q1 last year, compared to only £250k in Q1 2019. At 31 March 2019 there were 328,344,724 Ordinary shares in issue, of which 9,657,907 were held by the Employee Benefit Trust (EBT). The rights to receive dividends and to exercise voting rights have been waived by the EBT over 7,855,945 shares and consequently these shares should be excluded when calculating earnings per share. The total number of voting rights in the Company is 328,344,724.